If Romney stops borrowing money from China to pay Big Bird’s salary, what would that do to the budget? 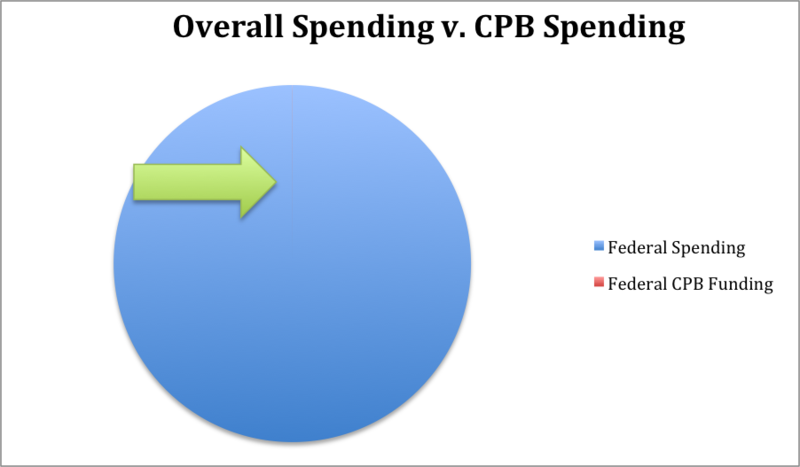 Total federal spending? About $3.456 trillion. Amount of that that went to the Corporation for Public Broadcasting, and from there to PBS? About $506 million (and only roughly $1 in $7 of PBS’s budget is federal money). How to compare them? Maybe a pie chart? The chunk going to the CPB (and from there to PBS) is almost too small to see!